This school reception office in Stoke-on-Trent needed protection from the suns glare as the staff were being blinded and suffering headaches. 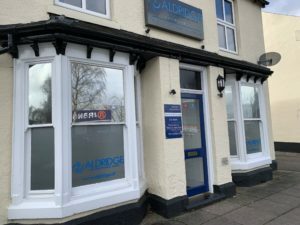 Due to the lack of access inside we fitted an exterior one-way film to allow the staff to see out but passer-byes not to see in. 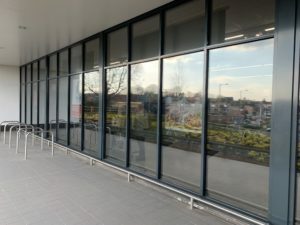 Commercial window films are a cost effective way to reduce heat and glare and save on energy bills. Our window tinting company has over 27 years experience and all our fitters are employed directly by us, we don’t use any subcontractors. We offer a full range of Security, Privacy and Conservatory window films. Call us now for a free quotation and site visit. 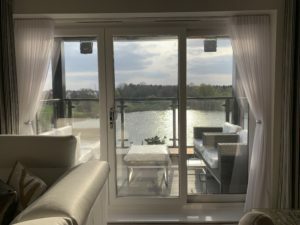 This Beautiful apartment overlooking a lake near Burton-upon-Trent required privacy and glare reduction. 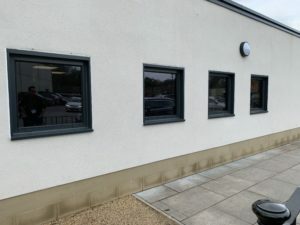 The outside finish was in grey so we fitted our superb Infinity Neutral window film to blend in seamlessly. This particular film will reduce glare by 72% and offers excellent privacy from preying eyes. 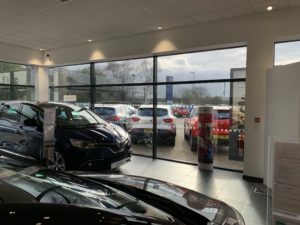 Window tinting is an excellent and cost effective way of controlling the suns heat and glare as well as adding a little style to your property. 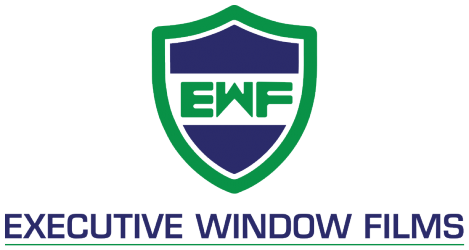 Executive Window Films offers a full range of window films for commercial, residential and office. We cover the Midlands including Nottingham, Leicester, Birmingham and Coventry. Easter Eggs Are Melting !! We had a call from a Tamworth based supermarket to say their Easter Eggs were melting in the sunshine ! They needed some commercial window tinting. We scrambled into action and hatched a plan to save the eggs! Solar control window film is designed for just this purpose. We chose a reflective window film to reduce the heat by 78% ! It was a long day and we were eggs-hausted, but we battled on and cracked it in the end. The customer was egg-static with the results and Easter was saved because of our window tinting services. Reflective Window Films are great for reducing heat build-up and glare. 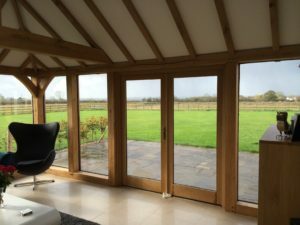 With all this lovely sunshine we’re having at the moment, we are super busy fitting all types of films including Solar control and glare reduction films. 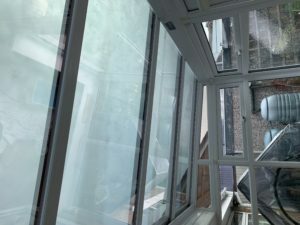 Conservatory window tinting, even at this time of year is really worth thinking about as they can soon become unbearable. Call us now for a no obligation quotation and site visit. 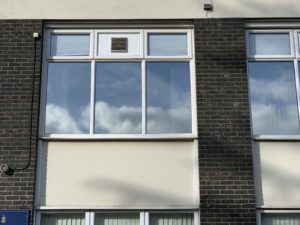 Another Derby based school had heat and glare issues coming through their Lab windows. They decided on a neutral reflective window film designed to blend in with the surroundings. This solar control window film is excellent at reducing heat build-up and glare. 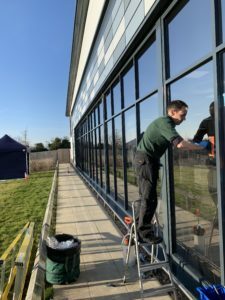 Offering a full range of commercial and residential window films, we can solve any and all issues you may have from solar control and privacy to safety and security window films. The chef at this Derby based school had an issue with bright sunshine coming through the kitchen windows and dazzling the cooks. After trying various samples he decided on a dark smoke window film. With a glare reduction of over 70%, it was just the trick! 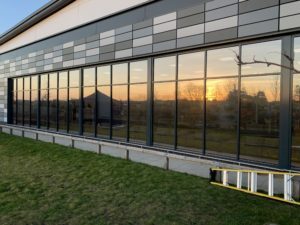 Solar control window films are perfect for these type of issues, we have many different window films and tints to choose from including one-way, reflective and privacy films. One-way window films are great when you need that extra bit of privacy or security from prying eyes. They work by allowing you to see out clearly, but from the outside, no one can see in!! Silver window film is the most popular, but we also have a range of bronze and neutral films available. This Cannock customer has a one-way film on the top of the windows and a full privacy window film on the bottom. Privacy or frosted window films allow light to pass through them, but cannot be seen through from either direction. 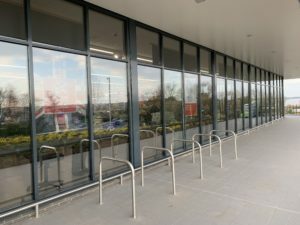 This customer in Cambridge had tills close to the windows that were giving both staff and customers problems due to the amount of sun and glare shining through. 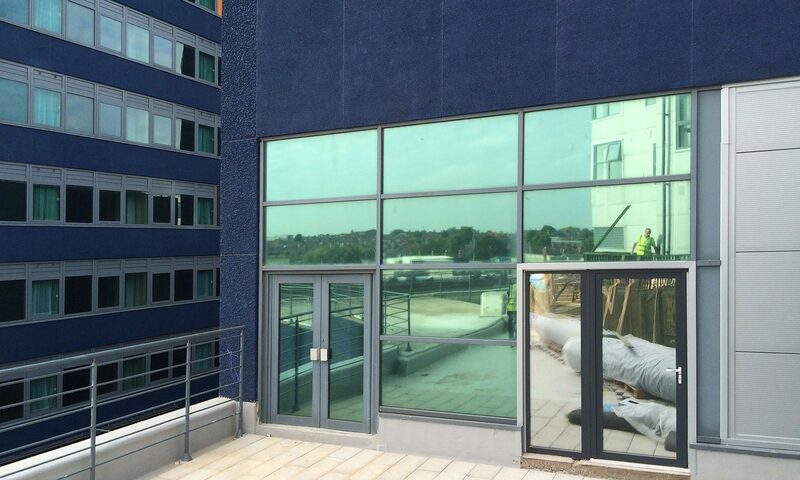 A solar control window film was fitted to greatly reduce the effects of the sun. The staff said they were so happy it had been fitted and said it made a real difference. Our window tinting company offers a full range of Privacy, Safety and Frosted window films – We have all your needs covered! 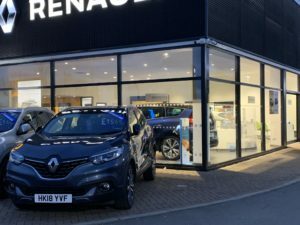 Our customer in Tamworth had a showroom that was unbearable due to the amount of glare coming through the windows. We applied a solar control window film which cut glare by a huge 78% ! This commercial window tinting solved all their issues with heat and glare reduction. Reflective window films work by reflecting the suns energy away from the windows keeping buildings cool. Our window tinting service is available across the Midlands from Birmingham to Nottingham and Cannock to Chesterfield. Window tints come in a range of shades and colours, we are happy to show you samples and conduct a free of charge site visit. It seems we are having a very sunny start to the year with lots of sunshine and record temperatures for February!! Unfortunately, this can cause a lot of unwanted heat & glare in homes and offices. But don’t worry, here at Executive Window Films we have a solar-control window film to suit your needs. 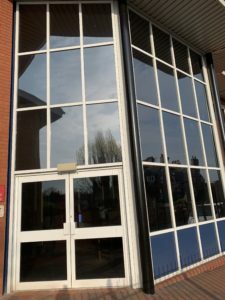 We have specialist heat rejection films for conservatories, privacy window films for hospitals, solar-rejection residential window films and a full range of window films for commercial properties, schools and offices. 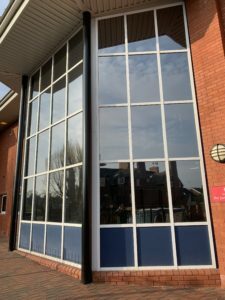 Executive Window Films covers the whole of the Midlands, including Burton, Derby, Nottingham, Lichfield, Tamworth, Coventry, Birmingham, Leicester and Walsall. We can come along and do a site visit to measure your windows, offer recommendations and show you some samples. Call us today and see what we can do for you 0800 566 8780.